This was stated by Azerbaijan's Deputy Prime Minister and YAP Deputy Chairman and Executive Secretary Ali Ahmadov on February 1 at the event dedicated to the results of the Youth Wing of the New Azerbaijan Party (YAP) in 2017 and the Youth Day. 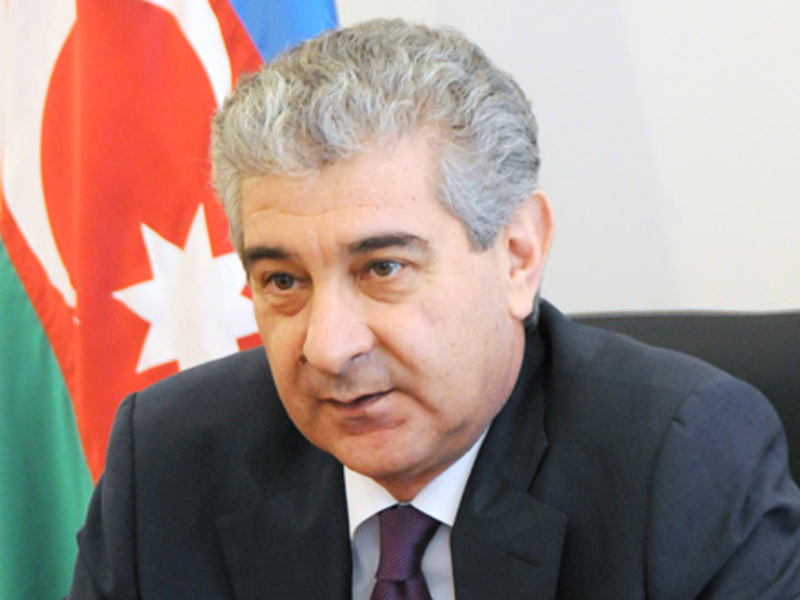 Ahmadov recalled that 2018 is the year of presidential elections. The young members of the party will contribute to the success, the victory of the Azerbaijani President as a party candidate in the main event of the country's political life, he said at a meeting with the YAP youth. The official added that the YAP youth, as always, will demonstrate activity in these elections: “Young people will do their best to participate in the election campaign at a high level." He emphasized that Ilham Aliyev’s high reputation in the society creates a basis for his victory in the presidential election. Moreover, he noted that the potential of Azerbaijani youth is very high, he said noting that young people should actively participate in the socio-political life of the country. He also called on young people to be more active in social networks. “Young people should use the opportunities of social networks in protecting the honor of the country. At the same time, young people should be active in communicating social messages to the society. I am confident that they will successfully cope with the goals set for them in 2018,” the official said. He stressed that all conditions for youth are created in Azerbaijan. The Youth Day is celebrated in Azerbaijan on February 2. Young people play a leading role in all sectors of Azerbaijan’s public life. They are largely involved in the implementation of political, economic, humanitarian and social activities. Major focus of Azerbaijan’s state youth policy is made on guaranteeing the social protection and employment of young people, stimulating their quest for creativity, educating them in the national spirit, strengthening their military and patriotic upbringing, and promulgating a healthy lifestyle. Cultural development of the youth is one of the main steps in the formation of an intelligent new generation. Also, Azerbaijan supports children and youth activity in sports by holding a number of local and international competitions for young men and women. People aged between 14 and 29 are considered young in Azerbaijan. The young people constitute around 31 percent of the country's total population of more than 9.8 million.